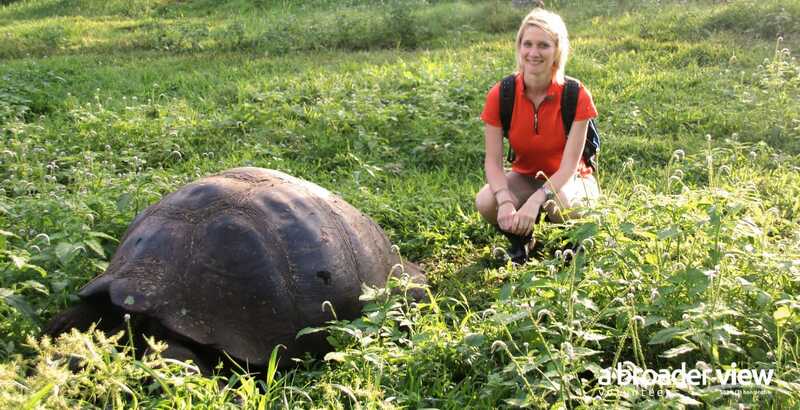 Volunteer in Ecuador, we have social welfare programs, as well as environmental/conservations programs on the Islands. On Santa Cruz volunteers can work with very small children, babies, toddler and also pre-school and higher education. On San Cristobal our environmental projects focus on sea turtle, marine iguana, green house growing and sea lion conservation efforts. For both projects volunteers begin and end their journey in Quito. You will spend the first 2 nights in Quito (with meals) receiving your program briefing and orientation. You will be provided roundtrip airline tickets to the islands and be escorted to the airport in Quito. Flight time is approximately 3 hours. Once on the Island you will be met by your host family at the airport and they will accompany you to their home. All transportation at the end of the program, back to Quito, including airfare, is included in the program fees.